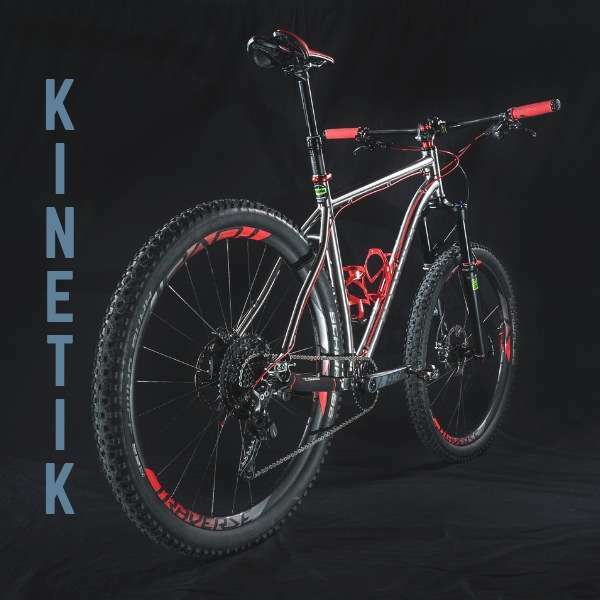 The Kinetik is a big brawny trail brawler that features conventional modern geometry and an open planform for whatever trail adventure you have in mind. This is a bike that goes uphill, downhill, airborne, and camping with equal aplomb ~ experience the energy! The Kinetik 29er mtb frame is constructed from strong titanium tubing with sliding dropouts. It has a threaded bottom bracket, a 44mm straight head tube for adaptability, and plenty of bottle mounts for carrying stuff on the frame rather than your back. Another versatile Binary Bicycles design, the Kinetik is a fresh canvas for your mountain bike artistry. Find out more about the Kinetik.